Rose is the author of several books which appeal to a wide audience as they cover everyday life in a typical village. All books cost £20 plus postage. Please contact Rose to purchase copies. 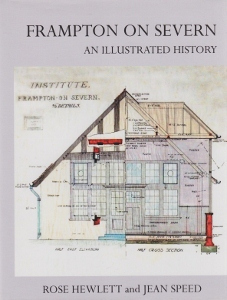 Frampton on Severn: Portrait of a Victorian Village – lavishly illustrated with sketches drawn in the 1860s of almost every dwelling in the village, Rose has written about each of the 200 families and their lives. 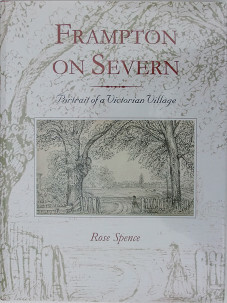 Frampton on Severn: An illustrated history – written as a chronology, Rose has interwoven the village’s history with national events covering pre-history times to 1900. Co-author, Jean Speed, continues the story during the twentieth century. 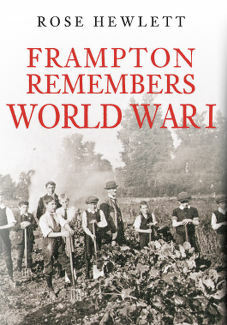 Rose is also the editor of Frampton Remembers World War 1 which studies the effects of the Great War on the village of Frampton on Severn. Its servicemen and their families were not unique; their commitment and sacrifice typified wartime life at home and abroad.